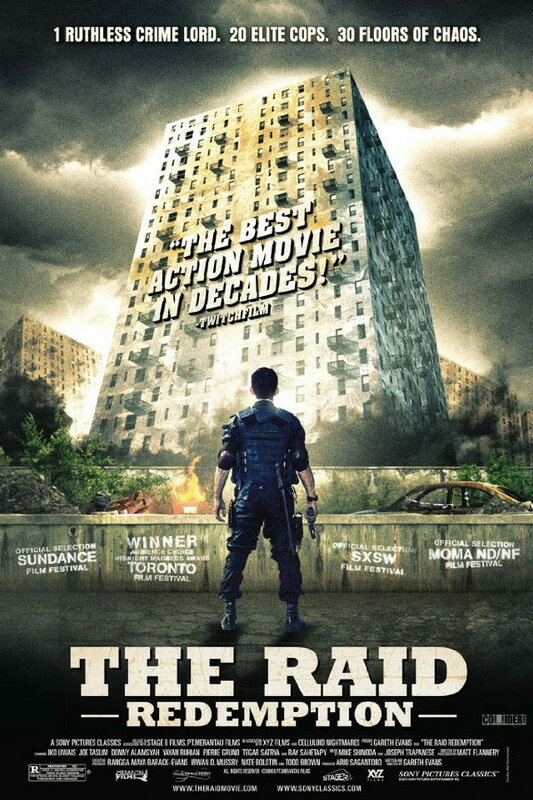 The Raid: Redemption font here refers to the font used in the poster of The Raid: Redemption, which is a 2011 action movie about a SWAT team who is trapped in a tenement run by a ruthless mobster and his army of killers and thugs. The font used for the movie title in the poster is Rockwell Extra Bold. The font is a commercial one and you can view more details about it here. In addition to The Raid: Redemption, It seems we can’t find other examples (logos, movie posters, album covers etc.) of typeface in use.